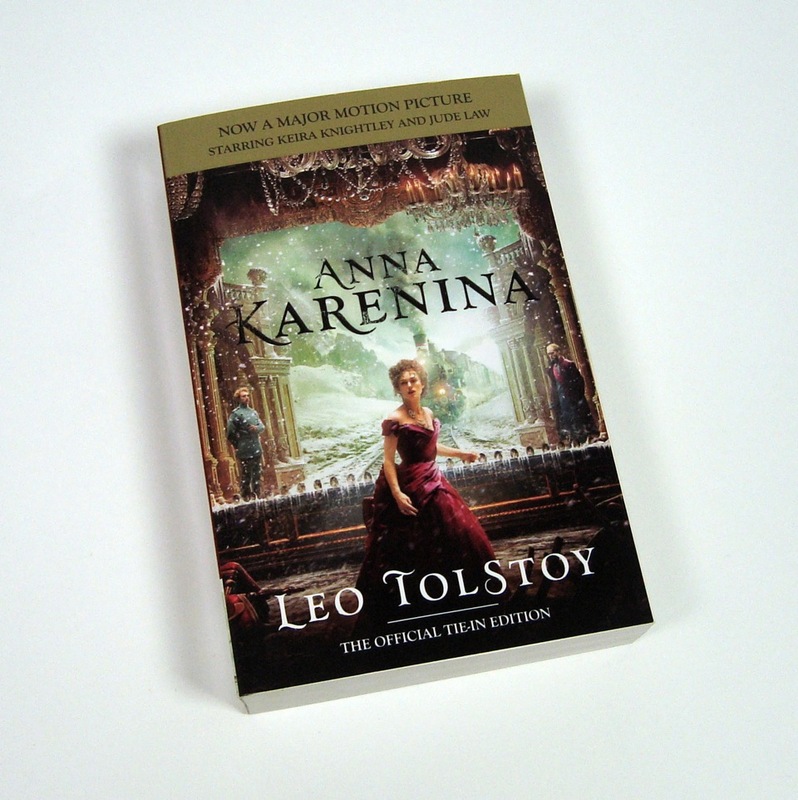 The auction started last night at 6 p.m. (PT) and goes for 10 days until 6 p.m. (PT) on Sunday, Dec. 16, 2012. That’s 10 days to bid on everything from autographed memorabilia to amazing experiences. Is “Parks and Recreation” your favorite show? Why not bid on a set visit that includes a meet-and-greet with the cast? Have you always wanted Fran Drescher to be the voice that callers hear before they leave a message on your phone? Now’s your chance! 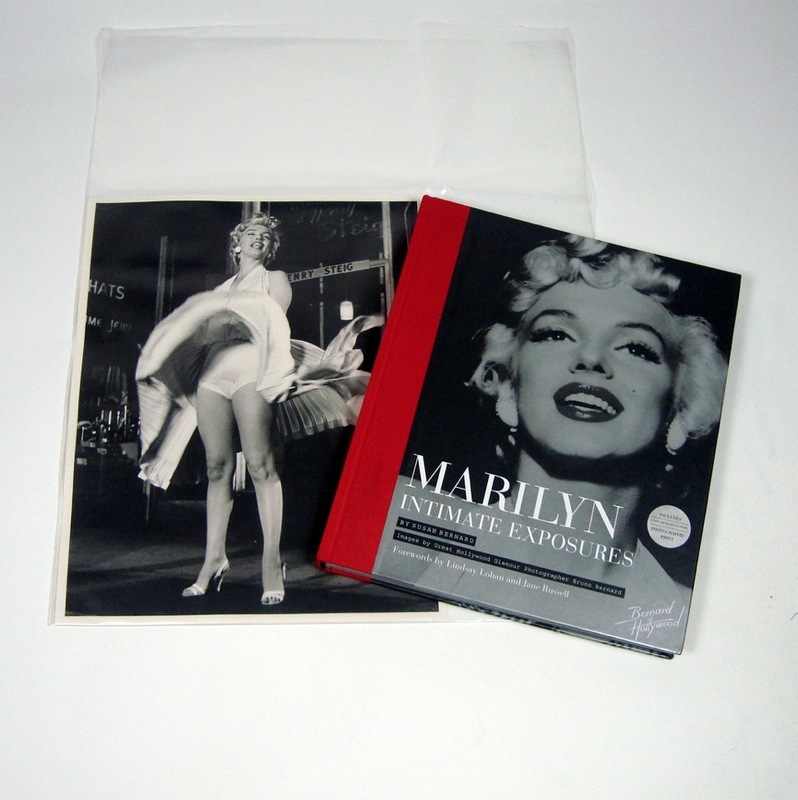 These are just two of the many goodies that are sure to cause a bidding frenzy. Check out more below and for a complete list, read our press release here. Can’t wait to place your first bid? Click here! Experiences you don't want to miss! 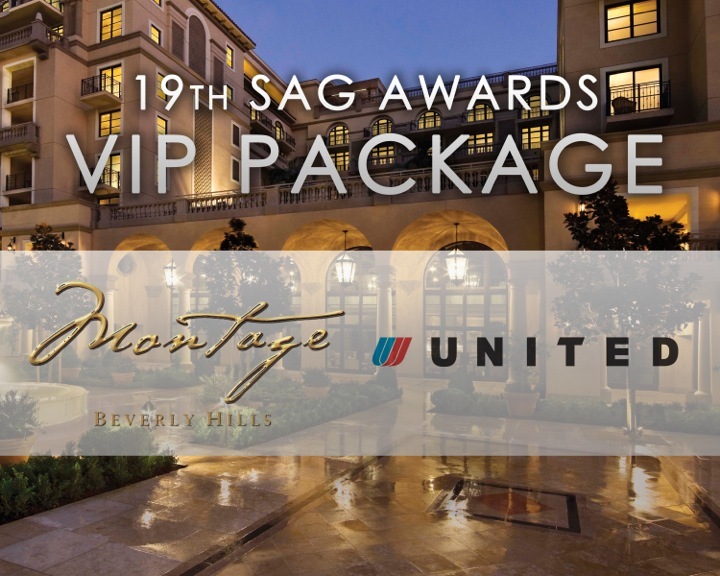 You’ll feel like a celebrity if you’re the winning bidder of the SAG Awards VIP package, which includes two tickets to the SAG Awards ceremony and gala, plus a backstage tour on rehearsal day. Not from L.A.? No problem. 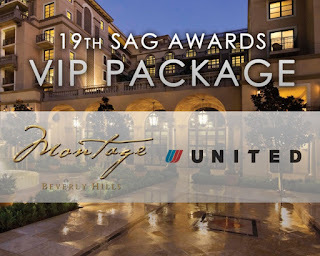 The package also includes two coach tickets on United Airlines, a three-night stay at the beautiful Montage Beverly Hills and limo transportation to boot. Other experiences on offer include: A visit to the set of HBO’s “True Blood" and cast-signed DVDs; two VIP tickets to "Ellen: The Ellen DeGeneres Show"; and the chance to enjoy the Los Angeles Times’ suite at Staples Center to watch the Clippers vs. Oklahoma City game with 17 of your closest friends. (You’ll also get four parking passes). A "Marilyn in White" print: Taken circa 1954 by legendary photographer Bruno Bernard on the New York set of "The Seven Year Itch," this classic print from Susan Bernard's book "Marilyn: Intimate Exposures," was singled out in 1999 by the New York Museum of Modern Art as the "Symbol of the Century" for their "Fame After" photography exhibition. Other gifts include: His and Hers sunglasses from Salvatore Ferragamo and Fendi; a Radical SkinCare package; and a Mont Blanc Marlene Dietrich Pen. Autograph Hounds and Collectors, Take Note! An "Anna Karenina" book signed by Keira Knightley: In director Joe Wright’s adaptation of the Leo Tolstoy classic, written by Tom Stoppard, Knightley stars as the title character, a late-19th-century Russian aristocrat whose life is changed when she has an affair with Count Vronsky (Aaron Taylor-Johnson). The "Mad Men" package: DVDs of seasons 1-4 and a cast-signed script of the pilot. "Mad Men" centers around one of New York's most successful advertising agencies in the 1960s, following the mysterious life of top executive Don Draper (Jon Hamm). Other memorabilia include: The tunic worn by Dev Patel’s character in “The Best Exotic Marigold Hotel”; various signed, celebrity-authored books such as those written by Steve Martin, Judd Apatow and Kirk Douglas…and more! Be sure to check out the SAG Foundation’s Bleacher Seat Auction, from Jan. 3-13, when fans can bid on 80 available seats on the Red Carpet; and the Ceremony Auction, from Jan. 21-31, which will include other exciting opportunities revolving around the nominated actors, ensembles, presenters, sponsors and media.